Based on the news, the Northeast is currently getting slammed by a massive blizzard. (Stay safe and warm if you’re up there!) 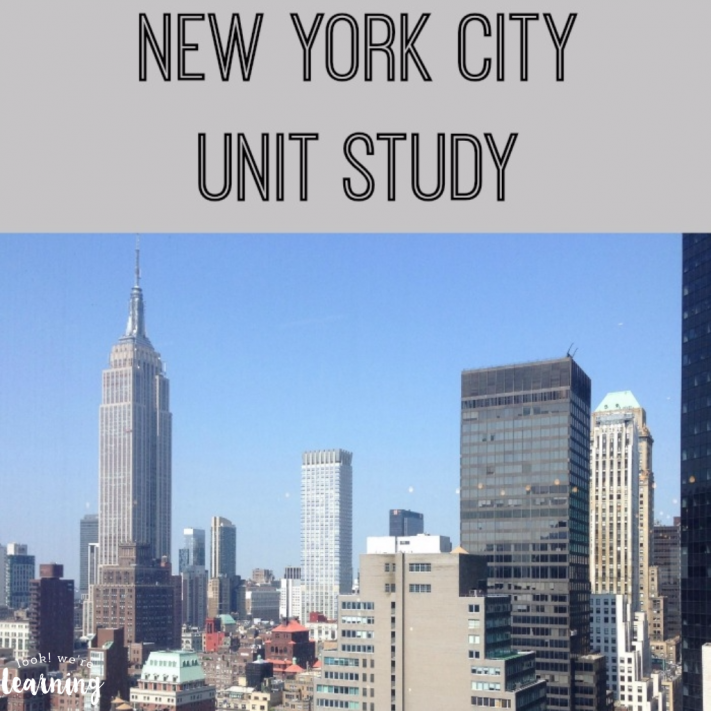 If you’re studying the Northeast or the city of New York, you might like this New York City Unit Study! Winter weather or not, New York City is a fascinating place. And most kids love the idea of the Big City, so you can use this homeschool unit study to introduce your kids to the Big Apple! 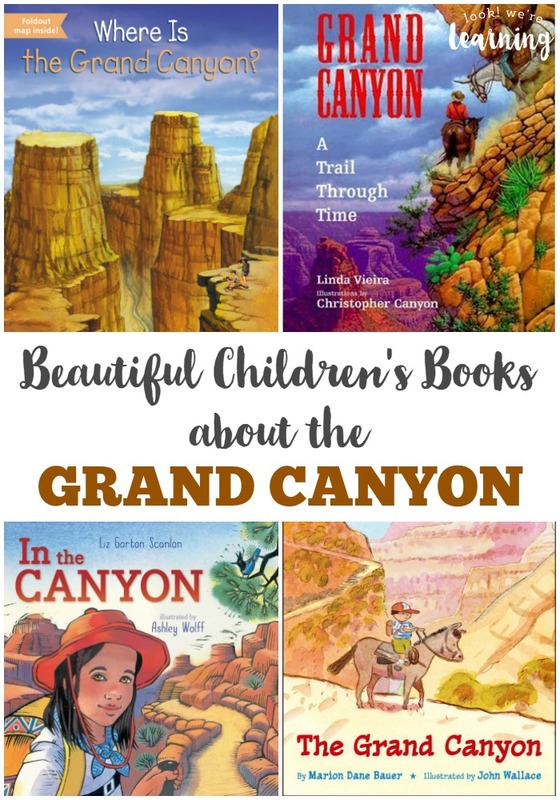 If you enjoy this unit, check out some of our other studies, including our Firefighters Unit Study and our Grand Canyon Unit Study! Since there are so many famous landmarks and geographical features in NYC, it can be tough to narrow them all down for a unit study! We took a trip up there earlier this year and while we drove through the city, my conversation was basically “Oh, there’s the Brooklyn Bridge! Wait, there’s the Empire State Building! Kids, look! It’s the Hudson River!” Not the best way to learn about the city. So I’m excited to share these activities and books that can help kids get a better understanding of what makes the city so special! Watch the following video about New York City and ask your kids to answer the questions below. 1. How many pizzerias are in New York City? 2. Name one special feature of the Empire State Building. Answer: The top 30 floors change colors to represent seasons and events of the year. 3. How does the Whispering Gallery at Grand Central Station work? Answer: A person can stand in one corner and hear what a person standing diagonally whispers into the wall. 4. When was the Atlantic Avenue subway tunnel built? 5. How many trees are in Central Park? 6. How many sculptures are in Central Park? 7. How many floors does a building need to be considered as a skyscraper? These kids’ activities about New York City can help kids learn more! 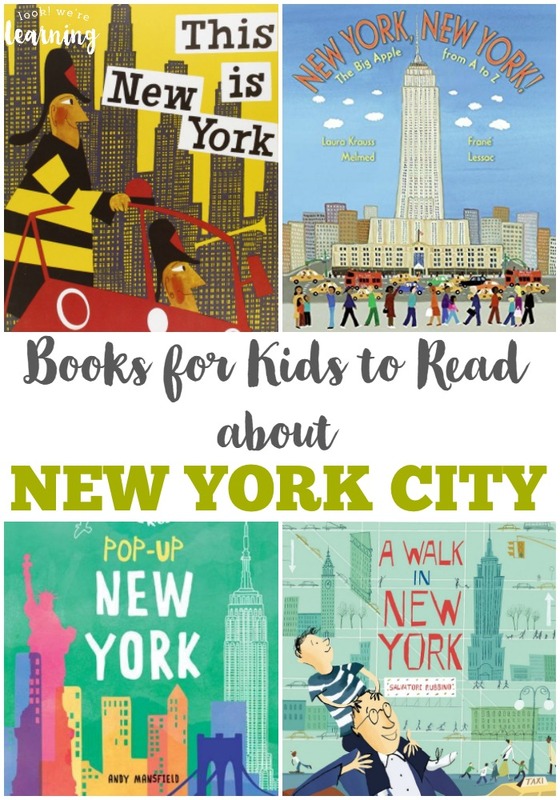 These children’s books about New York City feature gorgeous illustrations and stories that will get kids excited about taking a trip to the Big Apple for themselves! 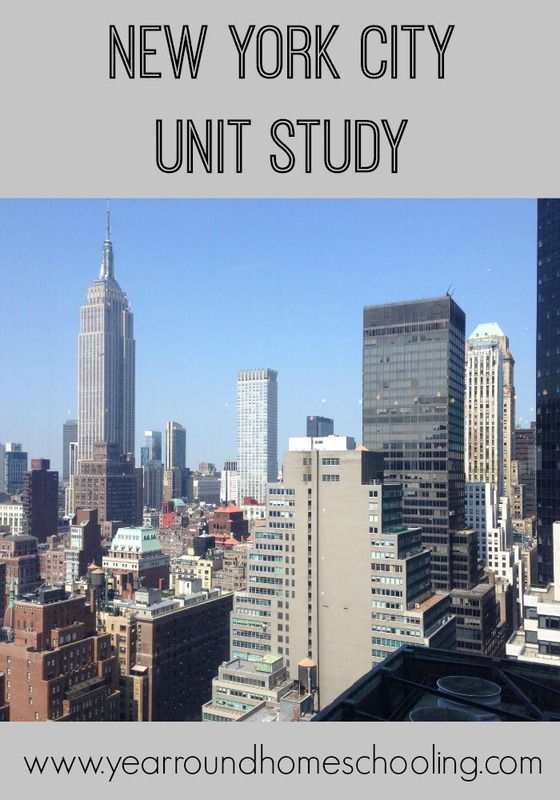 If you want to see even more teaching ideas for your New York City unit, I shared a simple New York City Unit Study that features videos, books, and articles about NYC. Click on over to Year Round Homeschooling to get the details and use the unit with your kids! Did you love this post? 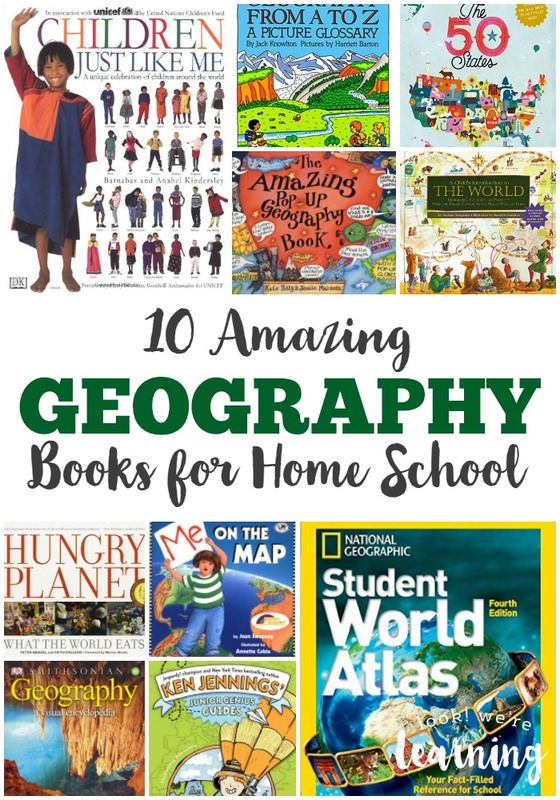 Check out these other ways to teach geography to your homeschoolers! 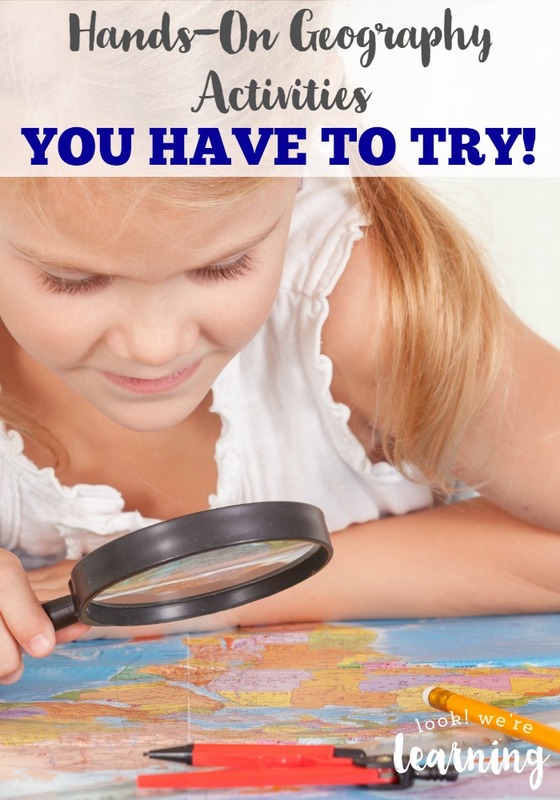 Plus, get more ideas on my Geography for Homeschoolers Pinterest board!